What would you pay for the perfect parking spot? If you answered the latter, I’ve found the perfect parking spot for you! 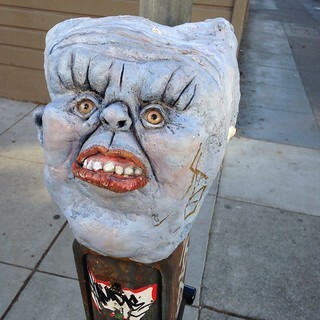 Over Halloween, a new demonic parking meter appeared at the corner of 18th and Oakwood. It’s a great place to park your vehicle if you made the unfortunate mistake of driving to Dolores Park, and don’t mind committing your very own soul to endless torment while you buy wine and cheese from Bi-Rite for your sunny afternoon picnic. 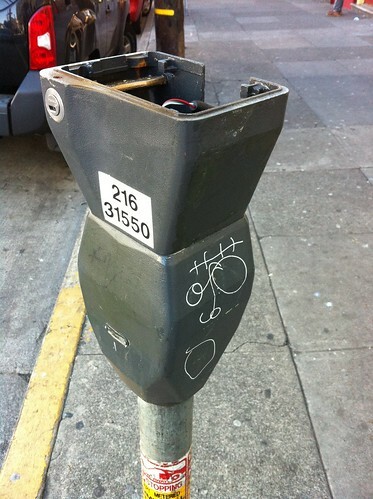 Recently we learned about a hip parking meter in the Mission. 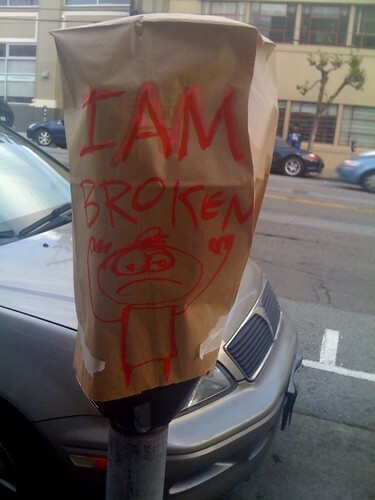 Today, I have news to share with you: hip parking meter’s cousin is a big fan of music. 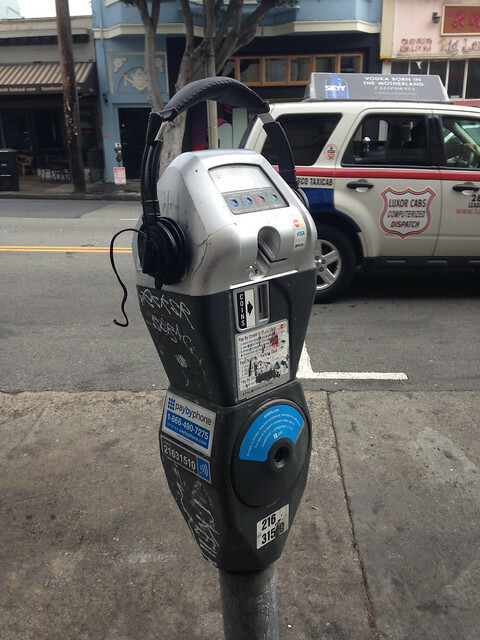 Okay, maybe this parking meter could stand to get some better headphones, but still, pretty smart for a parking meter. 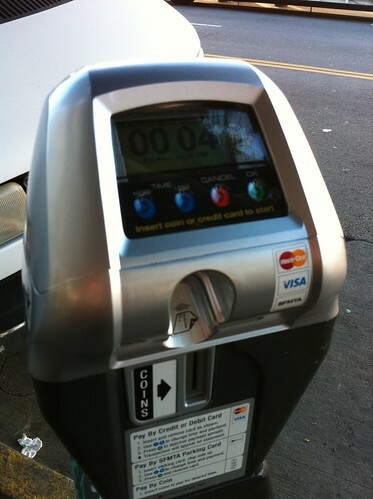 A few years ago the city installed new smart parking meters that accept credit cards and are powered by the sun. But did you know they’re also smart enough to wear clothes and enjoy sports? 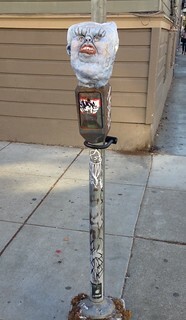 Well, this particularly hip parking meter at 21st and Valencia is not only hip, but is also a 49ers fan. Take that, dumb meters. No stopping this toilet, folks. 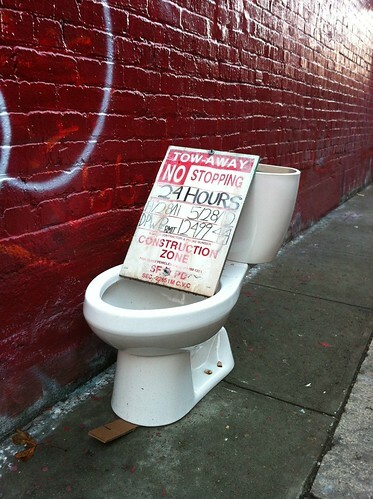 If you take a number two here and can’t flush, you’d better plunge it yourself — or you can expect a steep fine from SFMTA. And don’t even ask how they’ll tow you. 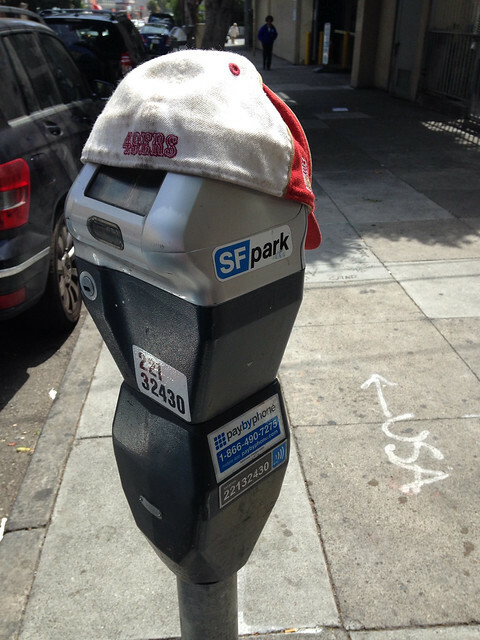 A swarm of technicians descended on 16th and Mission today, decapitating the old parking meters and sliding in a fancy new “SFpark” meter. 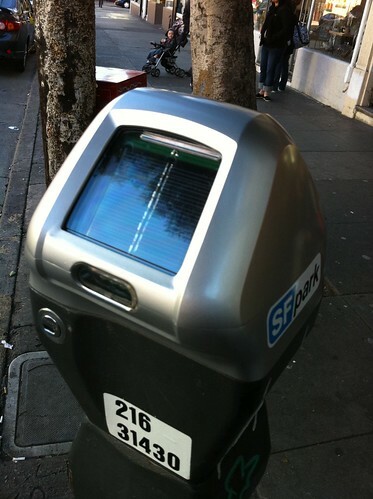 I’m not sure exactly what’s new, but it appears to be solar powered, accept credit cards (yay!) and the new meters utilise sensors under the vehicle so “the man” knows exactly when to slap you with a hefty parking ticket. 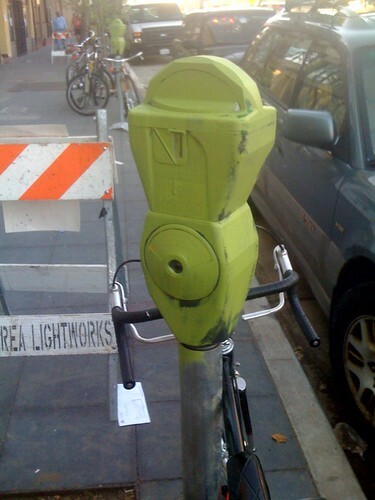 Slimer paid a visit to a string of parking meters along Valencia today. 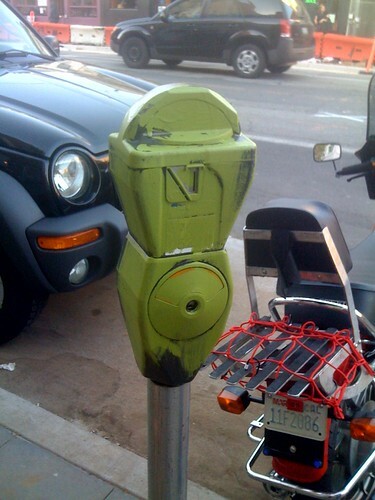 It seems ghosts don’t like paying for parking.